Ontario’s first chief digital officer has been on the job since April and has spent the first several months slowly chipping away at the government’s old legacy services. So far, Hartley has worked with Ontario’s Ministry of Advanced Education and Skills Development to build an aid estimator into the OSAP website so that prospective – and current – students can get an idea of how much financial help they could potentially receive from the government for postsecondary schooling. Hartley’s team of approximately 60 people has also partnered with the Ministry of Health and Long-Term Care, where they developed and implemented a portal for all the ministry’s data to make it easier for Ontarians to find information on services like OHIP. “The ministry has tons of content that they’re digitizing but a lot of it is not patient-centred. The portal is an easy-to-use one-stop shop for a lot of the health information people told us they were looking for but couldn’t find,” the CDO continues. Hartley credits most of her success so far to her user-first mentality. 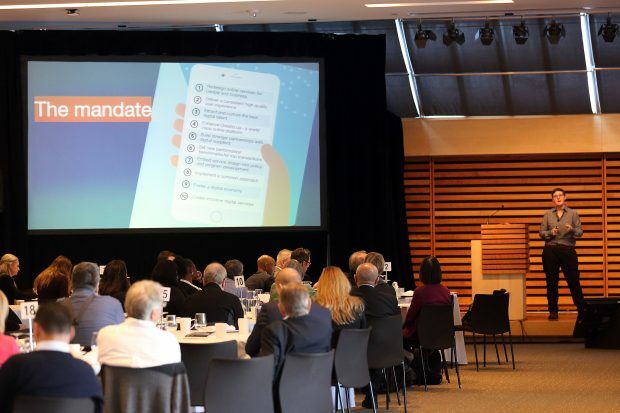 She tells the crowd that it’s not enough to talk with the public and gather ideas on what changes they want to their government services – it’s about following up with user needs throughout the transformation process to make sure “Ontarians stay at the heart of everything”. Going forward, Hartley’s next task is to update Ontario.ca. The website is an open source platform and she’s hoping it can be improved so that it can become a central hub that other ministries can build on. “I want an API-enabled government so that when we lay a proper foundation, we can continue building great things to better serve the province and the people living here,” Hartley tells the crowd. 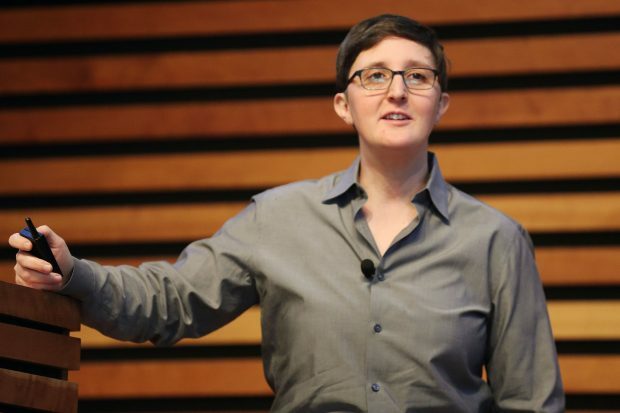 She is also experimenting with digital procurement and trying to widen the procurement process aperture to include more Ontario-based small and medium-sized businesses (SMBs). “We’re thinking of ways to build an online vendor record list where we could have a pool of vendors to easily choose from when the government needs something done. We’re also trying to put together an open source procurement system where we put out a challenge and our data, then have vendors come back to us with their work and show how they solved it. Things like that will take time but it will ultimately make the government better and more efficient, and give SMBs a chance to work with us,” Hartley adds. To transform services and modernize government practices, Hartley says it ultimately comes down to changing the culture within bureaucracy. She wants to see a more open, agile government that makes decisions based on insightful data and user needs, and one that’s willing to learn from its mistakes.